Svarti Loghin are destined to become the Swedish point of reference for words like skillfull, emotive and depressive Black Metal. The gloomy atmosphere of their debut leads to progressive territories and to strong disharmonic and melodic vibrations. Empty Wold is the anti-modern anthem which sophistication is the feeling of the music itself instead of any sort of instrumental joy. 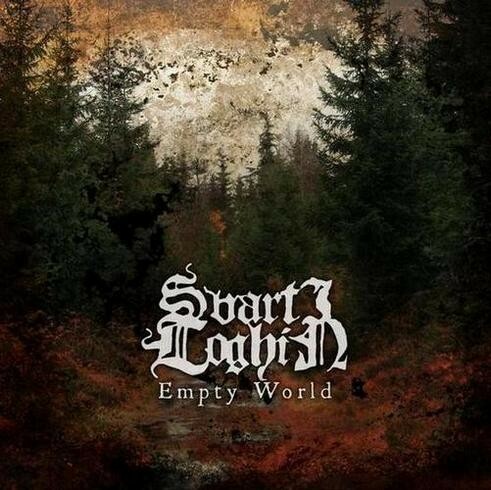 Empty World is like a twilight gradually covering Midgard, the demonstration that Scandinavia has still something unique to offer to the Black Metal and obscure music scene more in general. The awesome songwriting can sometimes recalls the darker feeling of Forgotten Woods’ “The Curse of Mankind” or younger bands like early Alcest but it’s something beyond. Attractive like nature but in the meantime deadly “Empty World” is the hard cider that will lead to watch the last breath of this vanishing world.